The Berghaus Paclite 2.0 jacket is by far the lightest of all my outdoor jackets. When I received it in the post I wondered how it would possibly keep me warm as it weighed literally nothing! Why do I think this is the best packable rain jacket for hiking? Read my full Berghaus Paclite Jacket review here to see why! For those of you who love the outdoors and hiking in the UK, you’ll know how important it is to always take a waterproof jacket with you. The UK weather seems to have a mind of its own! 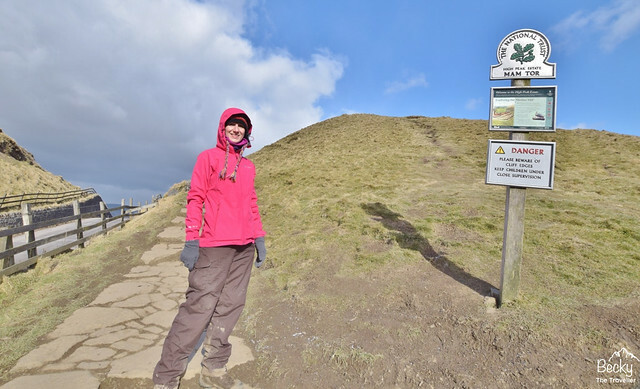 My first trip wearing my Berghaus Paclite 2.0 Jacket was for a weekend hiking trip in the Peak District. It was the end of February and temperatures were pretty cold in the UK. Yes, I know the pictures look pretty with the blue sky, but I promise it varied between 2C to -1C degrees. And was even colder with that wind chill. Update: November 2018 – Jackets currently on sale with 40% discount. Woo hoo! Saving £60! Hiking trip in the Peak District, this was 10 minutes before a heavy snow storm! The jacket comes with a fully adjustable hood, which is handy since my head is very small, so I always have to buy a jacket I can adjust. There is a toggle at the back of the hood and at the front two more adjustable elastic pulls that pull it close to your face. The hood also has a small peak which is great to stop rain from getting in your eyes! The Paclite jacket has two decent sized pockets with zips. And on the sleeves, there are velcro tabs so you can stop cold wind trying to sneak in! How waterproof is the Berghaus jacket? The Berghaus jacket design has an outer fabric which has durable water repellent fabric treatment. Next is an amazing GORE-TEX membrane (this guarantees to keep you dry). And lastly, an inner lining. During my first trip to the Peak District, would you believe that it didn’t rain! Although, instead of rain there was a crazy snow storm, with sideways snow. And my jacket kept me both warm and dry. Since then I’ve worn my jacket for a few walks in Nottingham in the rain. It’s done a great job of keeping me dry. I promise to go back and try it out on a wet day and I will update you on my thoughts. I’m off to Wales soon so it’s almost guaranteed to be thoroughly tested! 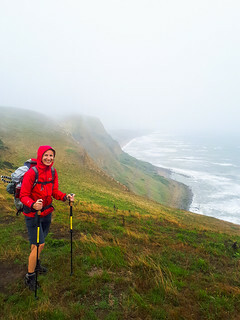 Review update June 2018 – Finally, a chance to review the Berghaus Paclite jacket in British rain (and there was a lot). In the UK, June was the hottest and dryest month, except the one weekend I attempted the Welsh 3000s Challenge in Snowdonia and we had 11 non-stop rain. Out of a group of seven, mine was the only waterproof jacket that lasted against the continuous rain. So of course, I wanted to update my review and let you all know! As you can see from this photo taken on a mobile, the conditions were tough but the Berghaus Paclite jacket was awesome. In fact, I would have stayed completed dry had my waterproof trousers not done such an awful job. Hmmm, maybe some Berghaus waterproof trousers should be my next purchase! How warm and windproof is the jacket? 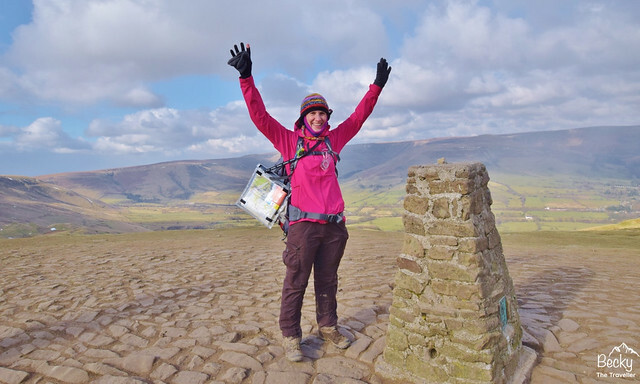 So as I mentioned earlier in this review I tried this jacket out for the first time on a two-day hiking trip to the Peak District in February. The day after I got home we had the most snow and freezing temperatures, resulting in a frozen Kinder waterfall in the Peak District. This is to give you an idea that it was really cold. On my top half, I wore a base layer, fleece jacket and my synthetic jacket. Then on top, I had my Berghaus Paclite jacket. You might think this seems a lot, but on the hills, it was below zero temperatures and I get cold very quickly. I’m currently sat in my house with two jumpers on now haha. Even though the jacket is lightweight it still protected me from the wind and kept me lovely and warm. I even got a bit hot a couple of times on the uphill climbs, which is normally when hiking. Why is Berghaus paclite 2.0 the best lightweight jacket? I’ve bought a range of different waterproof jackets over the years. I can safely say this is by far the lightest and most packable. The jacket weighs approximately 330 grams (depending on what size you buy). And I can fold it down so it’s almost as small as a tin of beans! To give you an idea of how light it is, this weighs less than half a standard loaf of bread. Now think about all the extra sandwiches you can bring along for the hike! What are the colour & size options for the Paclite jacket? Now I love my bright colours, especially pink! You’ll notice a theme if you’re following my hiking trips on Instagram! I always think it’s the perfect colour in case I ever need rescuing! But I know pink isn’t for everyone, I won’t judge!! So what other colours does the Berghaus Paclite Jacket come in? Well, I’m pleased to tell you there are 5 options to choose from! Pink – currently 20% discount off this colour! The Berghaus jacket comes in seven size options, from a size 8 to size 20. My jacket is a size 10, which is my normal clothes size and it fits perfectly. For me, the Paclite jacket is perfect for all my hiking needs. The lightweight design makes it comfy to wear and also easier to fit into my rucksack. Most importantly, it’s both waterproof and windproof so ideal for my hiking expeditions in the UK and around the world. Although this jacket will get a lot of its use on my regular hiking adventures, it will also make a great waterproof jacket to take away on my other trips. I often travel light, hand luggage only so it will be perfect to pop in my bag for rainy days. And finally, it’s pink and it makes me feel bright and happy when I wear it! Update: Black Friday Sales – Berghaus Paclite jackets currently 40% discount. Saving £60! 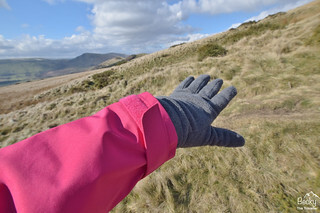 **Berghaus provided me with this Berghaus Paclite 2.0 jacket for review. However, all opinions are my own.